How safe is your favorite beauty product? Gluten Free, MSG Free, No Aspartame — the list is long when we think of the nutrients we want to consume. We spend countless hours reading labels and making decisions based on the ingredients our favorite meal contains. So, why shouldn’t we do the same when it comes to our beauty products? I’ve recently discovered an app that exposes how “good” a product is for us based on its ingredients. The app grades ingredients in the product as being, “clean, 0-3”, “half n’ half, 4-6”, and “dirty, 7-10” and comes up with an overall ranking. 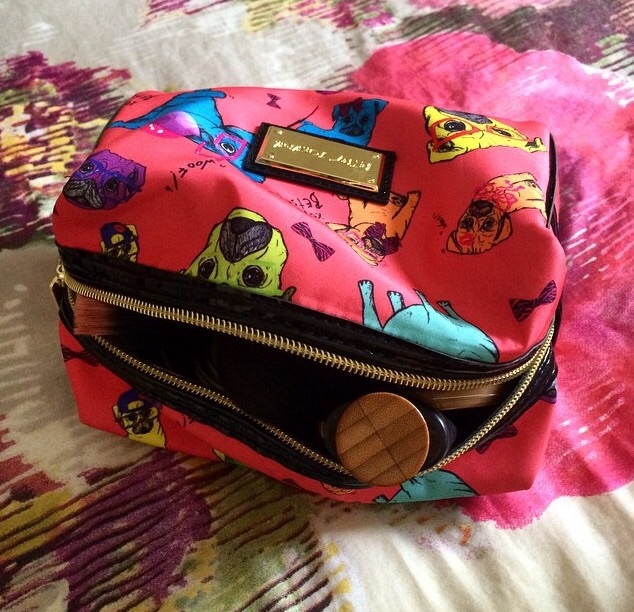 Here is what’s in my makeup bag and what each product has ranked overall. I’m not going to lie, I am disappointed that some of my favorite and go-to products ranked as “dirty”. Realistically, I’m not going to stop using these products, but will definitely consider a “healthy” alternative when I make a lifestyle change. I question, what is considered good for us these days? Nevertheless, it’s good to be knowledgeable of what goes into our body both internally and externally. I think that if your skin doesn’t react on beauty products than it’s okay for you. And of course, natural ingredients also can cause problems and allergy. I hear ya! But, I do feel that the topic can be subjective. I personally think that we don’t pay as much attention to the products we use as opposed to the ingredients we consume. So, for those interested, I think it’s great to have some kind of app/device that can guide with a preferred lifestyle choice.